Answers are vast. Some make minimum wage and some make six figures. Some took an income loss. Some increased their income. Some have a remote role inside of a corporation. Some are business owners. Some are part of a multi-level marketing company. Some work camp. While this is an vast space to explore ideas, most of the ideas thrown out probably will not apply to you. Especially if you wish to make a reasonable income like you’re accustomed to receiving. Remember that each idea also has different locale and time length requirements. A traveling nurse might be 3 months in one position. A traveling service technician may have a home base with a few weeks travel here and there. A military family may be one year, or more, at one spot. Did you read Docked Sunday #4 about defining your big picture? This is where you take long-term small improvements as your win, then realizing that carrots on top when there is extra time and money are just that: carrots. We’re going to go through a structure now to help identify income solutions for you. We’ll use photography as an example, and you use anything you want. We have some rails that function as our structure and a ball. Let’s see if we can get this ball rolling. What are your strongest skills? Examine each one individually. Think of one, and let’s work through a structure that will apply a skill to bringing in income. Again, we’re going to use photography for this example. 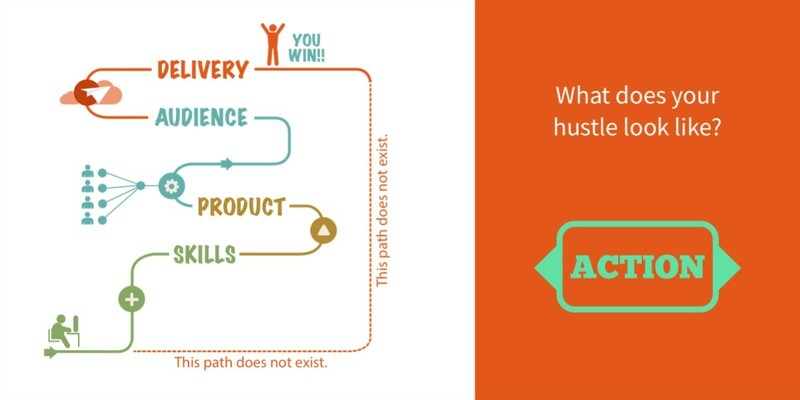 What product or service can result from your skill? For photography, it would be digital image downloads or drop ship print orders. What four audience channels can you sell this product? Brides and grooms, high school seniors, stock photo agencies, families. This, like possibly your most desirable idea, is not extremely easy to do while traveling. Remember, travel is a bonus. Let’s look at this logically. Maybe I want to focus on destination weddings in Sedona, and we stay there for 4 months at a time. Maybe we return home for 3 months during the busy high school senior season. If you budget well, you can travel in between. Maybe even set up family portrait days where you intend to stay. This is when you use the power of your social media influence and professional network. If you don’t have one, it’s very important as a freelancer or entrepreneur you DO have both. 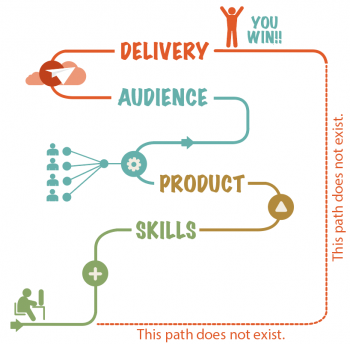 How will you deliver your product or service to your audience? This is where your hustle comes in. Your hustle that keeps you up day and night. The hustle that must be constantly worked from every angle. Finally, your ball starts to roll. Your following will increase and so will your sales. PS – If you are not good at sales, if you aren’t good at social media, if you don’t know how to maintain your own website… you have a lot of learning to do. These are basic skills you should possess before hitting the road. PSS – The more you rely on freelancing, the more important it is for you to have a 3mo cushion in the bank. Many corporations are paying at net 45 for contract/vendor work, and if they are late it is 60-90. If you can find businesses that will pay in under 30 days with a 2-4% discount, do that! It will save you time when you do not have to constantly beg for on-time payments, and you can better refocus your efforts.